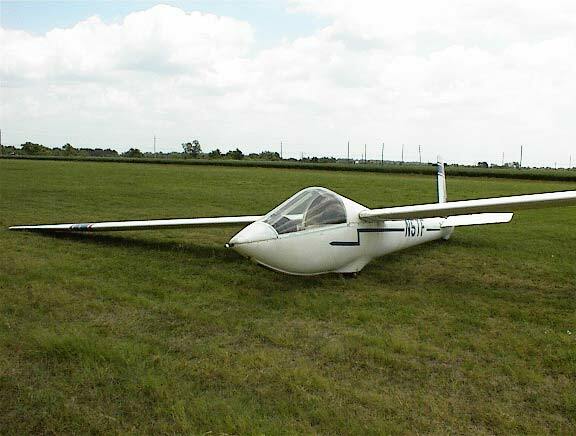 The Javelin dates back to the early 70’s in America when one person tried to produce a low cost glider in an effort to stem the rising importation of the popular German gliders. 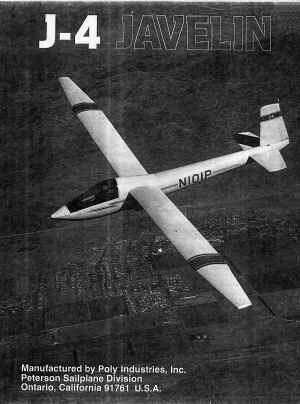 It obviously failed as most of you will not even be aware of it’s existence, but one of the more unusual aspects of the glider was that control of the aircraft, using the wings, was carried out purely by the use of Spoilers i.e. there are no ailerons built into the wing. 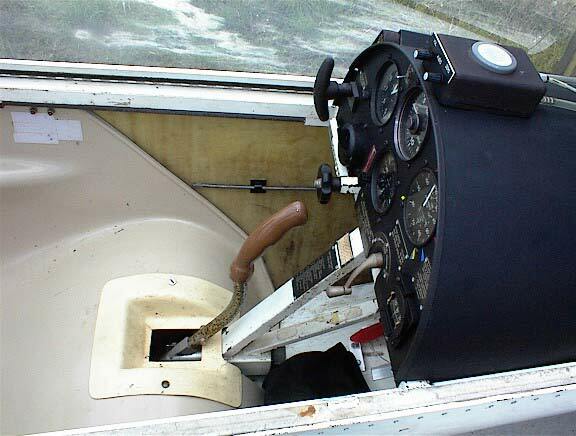 For flying control the outboard spoilers operate for turns and the inboard are the conventional airbrakes. A further peculiarity of the design is in the fact that the two tailplane halves and the fin are all built exactly alike and are fully interchangeable. The following is an article from Soaring Magazine June 1973with photos and data added. 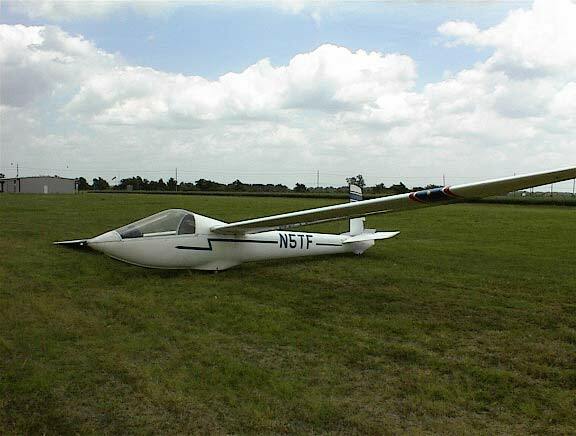 The birth of the Javelin probably started in a hangar-flying session about seven years ago when Fred Robinson of Crystalaire remarked that Schweizer had the only certified sailplanes in the country. Most of the group let it pass, but for some reason it became a challenge to me that 1 couldn’t ignore. Shortly afterward, began thinking about a new design. My early sketches were like most designers —– I wanted the best performing aircraft in the world, but it was only a couple of weeks until that philosophy had changed. 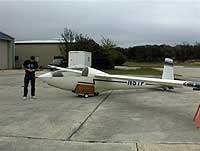 1 realised that what was really needed was a Certified Sailplane that the public could rent and afford to buy. The cost of a perfect ship would be perfectly horrendous. 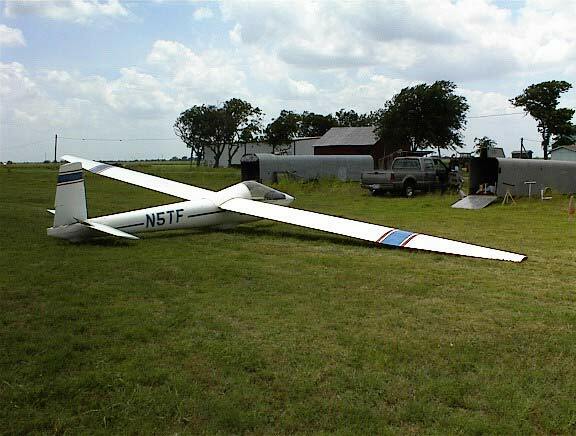 What was needed was a sailplane that was not perfect, just good. The new priorities now were something like this: low cost. 30: 1 glide and easy maintenance. In fact, the project became known as “Easy-Do” at that stage. Six years, later it seemed a good idea to drop that title and just call it the J-4 Javelin. The ship was literally designed from the inside out. Cost was paramount, so design of the wing structure was the first step in the project. 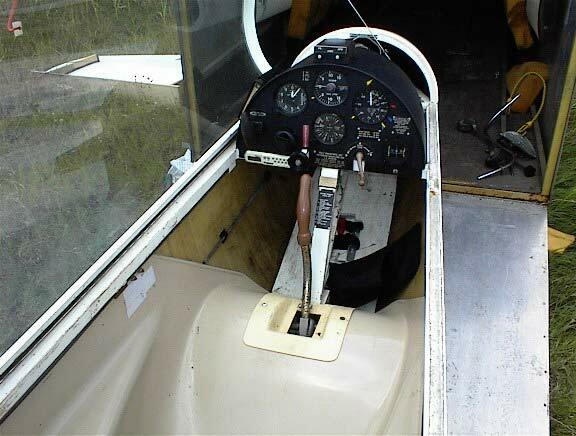 If you ever study a typical sailplane wing spar, you get really impressed by the number of rivets, bolts, pieces, and heavy root fittings that are used. 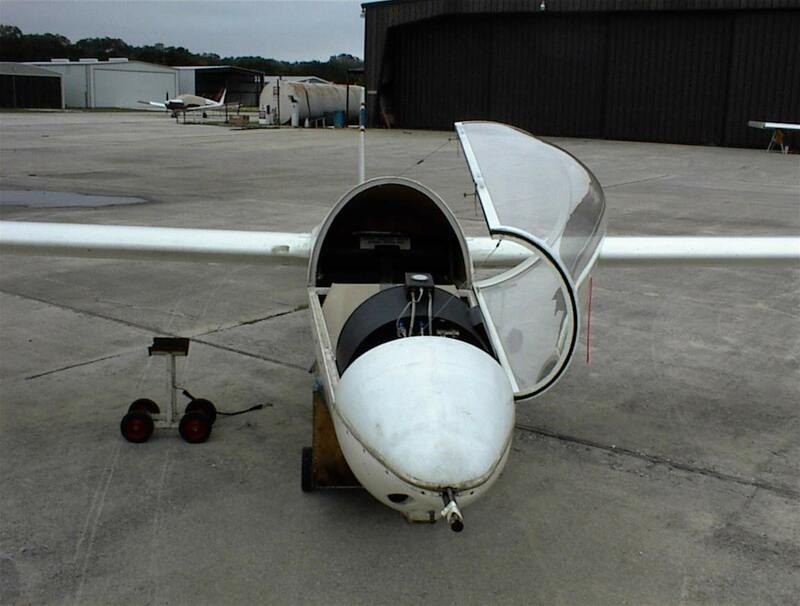 It is an expensive part of the sailplane. A spar without rivets, pieces, or bolts was what was needed, and a tube spar was chosen as the best solution We used a six-inch tube and tapered its wall thickness by chem-milling. This is a process that uses a chemical to eat away unmasked areas. The wallof the tube tapers in thickness from .188 in. at the root to .050 in the first ten feet and remains constant after that. Full tube diameter rings under each rib were left, so that rib cut-outs would be the same; also an uncut strip spanwise on top and bottom made the tube tangent to each skin surface. Studies showed that twelve spars could be chem-milled at once for a cost of $8.00 each for the tank time. Masking the tube for cutting was only $18.00 each-an obvious saving compared to driving 1500 to 2000 rivets and root fittings. Now that a basic method of fabrication had been chosen, the wing size was selected: a six-inch diameter tube with an 18% airfoil gave a 33.33-inch chord, and a forty-nine foot span equalled an area and aspect ratio that were acceptable. Wing skins were sized to take advantage of full or half sheets to minimise wastage and keep cost down. The trailing edge is glued on (no rivets) and the rear spar and aft ten inches of the wing are bent from one piece of metal. (We saved a few rivets on that, too.) 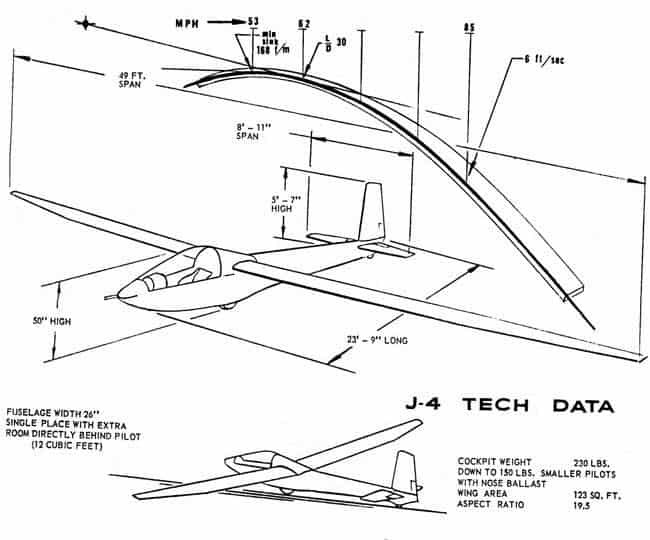 A straight wing was designed first. It seemed the obvious way to keep cost down. We were wrong. Flight tests with the straight wing showed what any aerodynamicist knows — it has a higher drag than a pure elliptical planform. Since an ellipse is expensive and impractical, and a straight taper from root to tip is just about as bad costwise, the Javelin wing tapered starting two-thirds of the way out front the root. Incidentally, this approaches the elliptical plan form better than the complete taper. A cost check showed that we saved enough money in metal, tubing, and fibreglass wingtips for the straight wing to more than make up for the added complexity of the taper We also picked up ten points of glide ratio and made some money on the side. How’s that for luck? Before we started building the first set of wings, another important decision was made. Most aerodynamic studies of surfaces moving through air at 60-70 mph seemed to indicate that exposed rivets didn’t damage performance very much, and flush riveting is expensive. Also, since blind rivets were easier to install than solid two-man bucked rivets, the design would be tailored for blind rivets. Horror of all horrors! We learned that FAA-approved structural blind rivets are the Huck and Cherrylock rivet types. These sell for fifteen cents each, even in the large quantities we were thinking about. That would have been $1500 just for the rivets if we had the usual 10,000 per airplane! About this time I stumbled onto a blind rivet produced by a local firm that was a beauty. One length would serve all our needs, the head was custom moulded when installed to a low .030-high domed rivet, and best of all it swelled sideways to fill out-of round or oversized holes. It also sealed itself so it was pressure tight. Cost per aircraft would be $60, which, it must he admitted beats $1,500. We lost the dialogue, of course, and after $1000 worth of vibration testing by one of those special labs that shake, bend and twist things, the FAA sent us a nice letter approving our rivet! 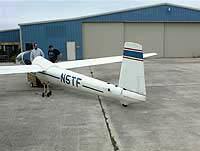 One more thing, cost studies suggested that an aileron didn’t earn its keep, and if a wing could he built without one it sure would be a lot less expensive. That’s when it was decided to use spoilers for roll control. They were less expensive and the yawing drag was certainly in the right direction (which isn’t true with the aileron). 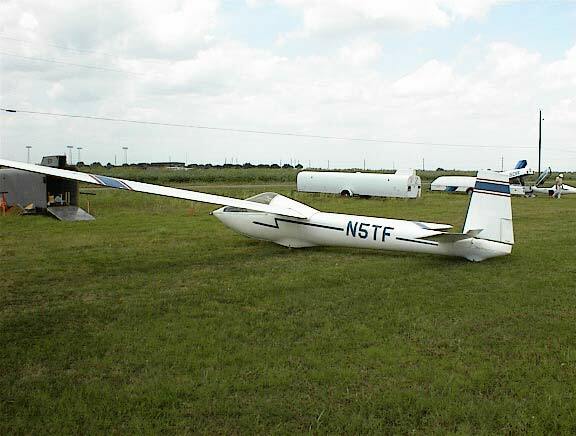 Just to satisfy myself, I drove to Crystalaire one day and got Fred Robinson’s permission to disconnect the linkage to the right spoiler in a single-place, Brand X sailplane, thus leaving only the left spoiler operative. I soared quite well; making left turns with the spoiler handle and convinced myself that it would work okay. 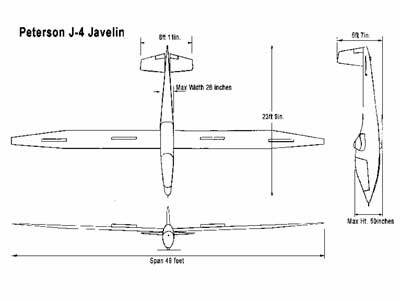 The first Javelin wing had spoilers laying flat upon the top skin surface; later we recessed them into the wing to improve performance. The fuselage, though very simple, took a bit of study to get it down to three major basic assemblies. 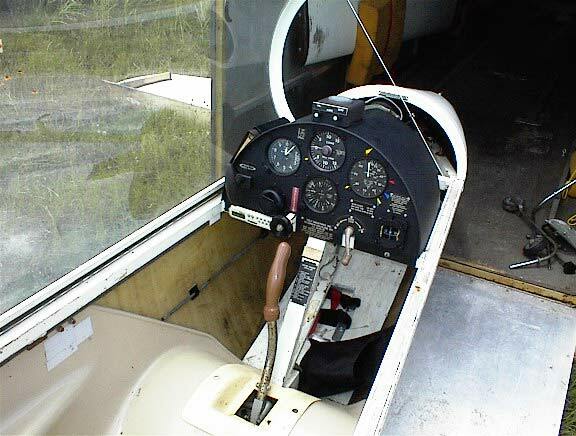 A square steel frame (easy to cut and fit joints) goes from nose to tail and offers good pilot protection plus holding the wheel and all the controls right out in the open where assembly is easy. Fibreglass lower shell 24-ft. long acts as a structure and fairing for the fuselage. The third piece, an aluminium sheet metal deck behind the wing and extending to the tail, completes the basic fuselage. All three pieces are riveted together with one row of rivets through the aluminium sheet, fibreglass hull, and steel frame. 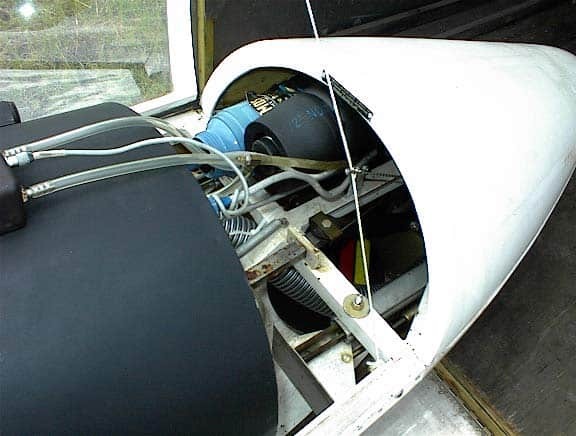 The wing-mount is a piece of tubing that has been bent 4 degrees (2 degree dihedral) and attaches to routed plates–the inside has been chem-milled to increase the diameter so that the wing spar will slide into it. Since the tube will take bending and shear loads in all direction, the rear spar serves only as a reaction for wing torque; hence simpler structure and lower cost. I looked for three weeks to find out how to bend a six and one-half inch diameter, 1/4 in.wall tube four degrees. It’s easy in production with the right tooling, but for a couple of parts only it’s a problem. I finally met an old gentleman who owns an oil well equipment manufacturing company in Tulsa, Oklahoma, and he gave me a note to his foreman and told me to send the parts back there. 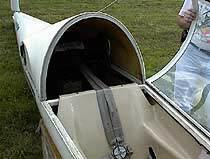 I airfreighted both and within a week I had 5 bent tubes sitting in an old pasteboard box on my front lawn. He never did send me a bill. The canopy is probably the first thing anyone notices about the Javelin. It’s 26 inches wide five feet long, free blown and optically perfect. Boy! You can see the world — you’re really right out in front of everything. Eye level is at the top of the wing so that you can watch the action of the spoilers and spoilerons and have almost unlimited visibility. The canopy is en-trapped within a special extrusion we designed and is not drilled for bolts. There comes a time when you’ve got to fly your bird. On Nov. 4, 1969, I flew the ship for the first time on El Mirage dry lake using autotow. Five times up and five times down — and still ill one piece! The first concern, of course, was whether the spoilerons (roll control) would work. I was somewhat surprised as that moved up and down! In fact on the Second and third flights I was so entranced watching the spoilerons move up and the wing move down that I forgot all about the car and rope that was pulling me. Actually, pitch and yaw was so simple, instinct took over and I watched the wings. At this point some of my friends who had been helping the project said. “Find another test pilot! You don’t fly anymore. 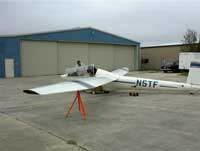 A broken arm (they were kind) and the project stops.” Fred Harris (of Holiday Soaring) put us in touch with a couple of fine USAF test pilots and they took over the test flying. The first airtow was at Tehachapi and Major Mike Love was at the controls. Interesting things happened! On autotow, at 60 mph, the spoilers stayed closed: at 65 mph on airtow they came open different amounts This caused yaw and roll problems that I was glad someone else was solving! 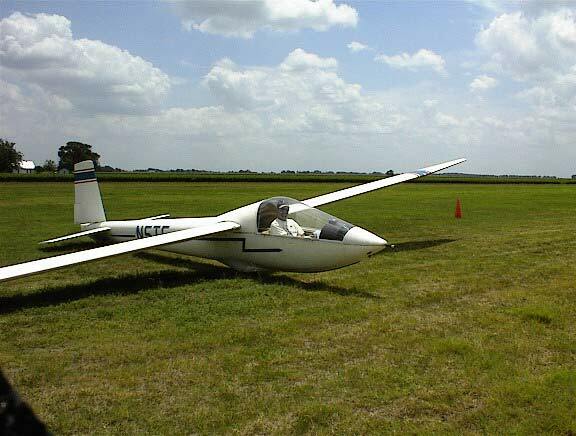 At release (5000 ft. AGL), Mike put the nose down and at 70 mph the ship flew straight again because all spoilers were open the same amount. However, can you imagine 12 feet of spoilers open on a 49ft. wing? Being real kind to the performance figures, we had achieved an L/D of about 4 to 1. 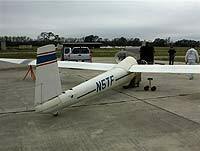 Mike added 20 mph and flew his downwind and base at 90 mph with touchdown at 80. 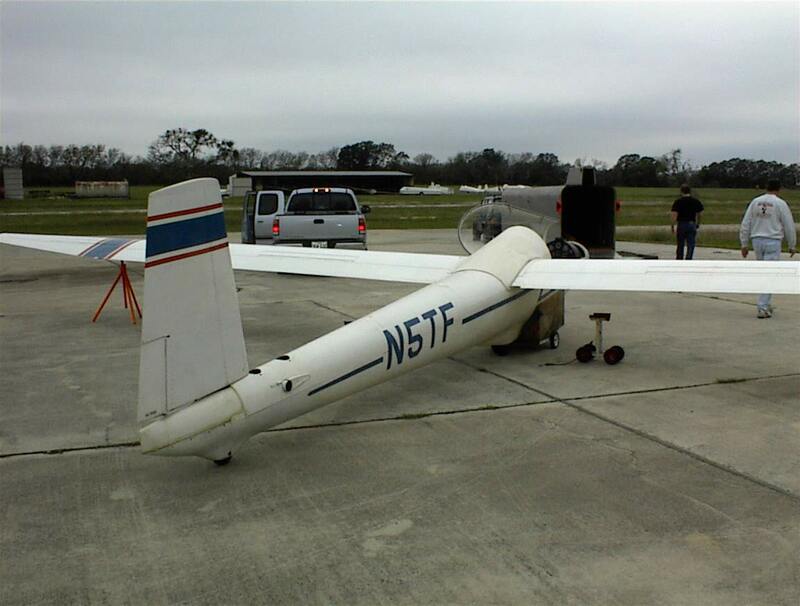 To find out what was happening to our wing/spoiler combination, we devised the “Bakersfield Freeway Wind-tunnel”. A 6-ft. section of wing was built and mounted above the top of the cab of a pickup truck and we went roaring up and down the freeway, taking pictures and devising means of solving the problem. (Incidentally, people are so intent on driving and talking to each other that 1 don’t think one person in fifty ever noticed us; however we really got the attention of a 2-lb, 4-ft. wingspread hawk. He flew up from the side of the road and struck the leading edge of the wing! Knocked him clean out of his feathers and put a dent 18 inches long and 4 inches deep in our pretty wing section.) The end result of our research was to recess the spoilers as mentioned earlier. With spoilers cut into the wing surfaces and a new tapered wing built, things started to brighten up. We had made parts for five or six ships, so a new wing or fuselage really wasn’t too big of a problem. We moved our flight test work from Tehachapi to Rosamond Airport for convenience, since it was closer to home for me and our pilots, Major Love and Major Staten. The area proved very successful and using county survey records we even established an exact ground distance between 2 points of 3 miles + 85.6 ft. to check our airspeed indicator accurately. 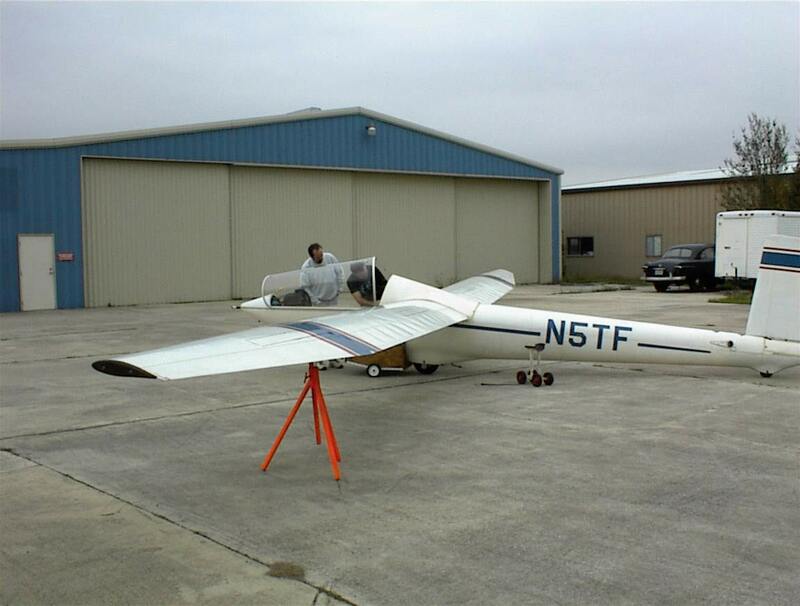 Flight test work for FAA information was fun, expensive, and time-consuming. Between pilot schedules, weather, and my schedule, the weeks did drag on. Most spectacular were the spins. Three turns were required in each direction with controls in every position possible. My wife almost left the project the first time that bird stalled and started to fall in a spin. On another occasion when Mike went five turns, she just about quit. Toward the end of the program, however, she could take just about anything we showed her. In any project like this, there are so many things to do , you sometimes forget that there will be an end. But the day did come and on Thursday, February lst, 1973 our FAA pilot, Norm Moentmann landed the ship. 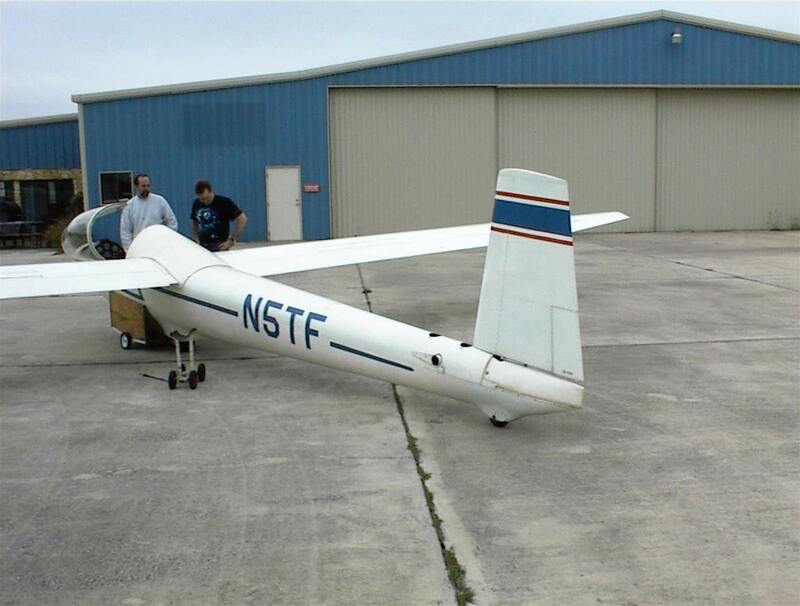 “I’ve flown it enough,” he said, “it’s okay.” I knew we had won our ticket! 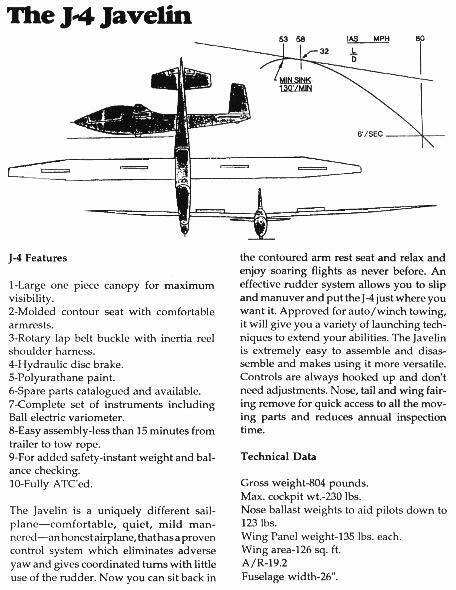 Incidentally, two weeks earlier, the FAA couldn’t have issued the Javelin an ATC if they had wanted to because the environmental laws on noise abatement arbitrarily included gliders! The law seems to have been written without specific values-just anything new coming out had to be made quieter! 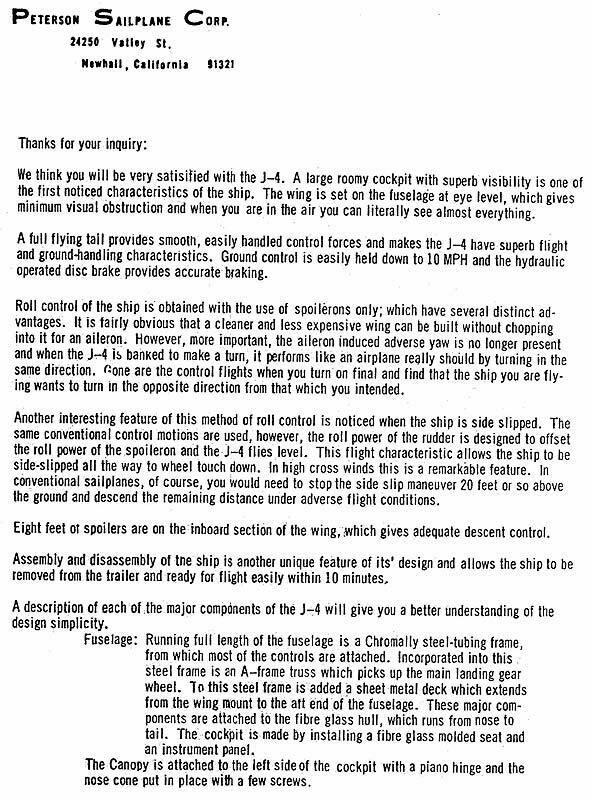 Finally reason prevailed somewhere, and we got a letter saying it wouldn’t apply to the J-4. 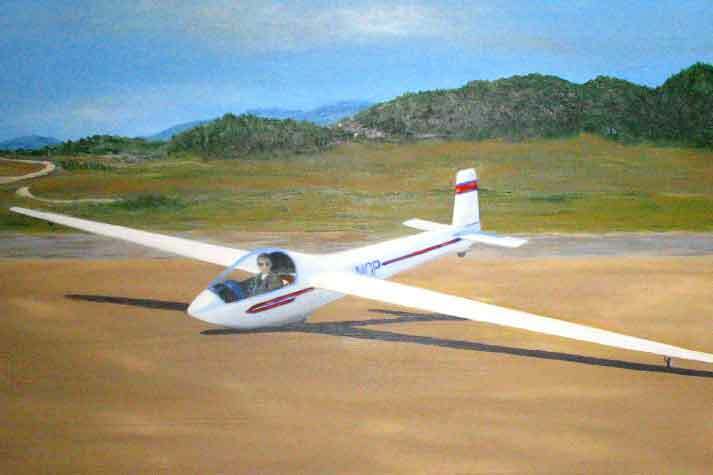 So now we have an ATC’d sailplane that goes together in ten minutes with all the controls automatically hooked up, is low in cost to produce, looks reasonable even with exposed rivets, has a 30-to-1 glide, and we also think it flies well. We’ve had the ship flying up to 150 mph and have done a complete flutter test program up to 140mph. The nitty-gritty of the certification program is another good and sometimes humorous story, and if you’re interested in the things that go on in the world of FAA and the airplane designer, I’ll write that for you another time. Wing loading 31.17 kg. / sq. m.
“Seeing the Javelin J4 brought back some good memories from over 30 years ago. I knew Max A. Peterson when he was building the prototype. (We belong to the the same church) I even put a down payment to buy the #3 J4, but I had health problems back then and had to backout the the deal.